Do you remember earlier this year when I talked about my bucket list trips/must-sees before parenthood? One of the trips I’ve long wanted to do is a culinary tour through Basque Country, and it’s happening! [Insert a thousand exclamation points here.] As I shared a couple of months back, we surprised my dad with a trip to Ireland for an upcoming milestone birthday, and following that week of exploring the Emerald Isle, Scott and I will be heading to French and Spanish Basque territory for an additional week of sightseeing, wine tasting, dining and exploring. I seriously couldn’t be more excited! We hotly debated whether or not we could make the extra week work, and were trying to find a way to incorporate an additional region/destination without making our airfare sky-rocket. We browsed the globe, from Dubai + Abu Dhabi to Sri Lanka and Hong Kong, and we came back to our first idea for its cost-effectiveness and ease: Basque Country. To add on the additional destination ended up costing about $250 total per person, including the flight from Dublin to Bilbao. For us, the value is definitely there considering how intriguing this region is to both of us. Basque Country is incredibly unique in that its home to a culture entirely its own. The region spans across northeastern Spain beginning as far west as Bilbao, and then continues up through France all the way to the Biarritz area. There are coastal cities along with charming towns located more inland, each with its own character and draw. All of are areas, French and Spanish, are bonded by a sense of common identity and even more interestingly, a common language, Euskadi. Euskadi is said to be the oldest European language of all, and is not similar in any way to Spanish or French. While it was banned for some time, it’s enjoying a renaissance now as we (namely, UNESCO) continue to celebrate and foster the rebirth of minority languages. We’re still formulating our plan, but here’s a general idea of what we’ve laid out to get a taste of both the Spanish and French parts of Basque Country in the most fun and efficient way possible. We’ll be beginning our trip in French Basque Country. The ideal was to fly into Biarritz but when we factored in flight times, availability and costs, it made more sense for us to fly into Bilbao. Yes, it’s a different country, but the region is actually quite small and is well-connected by public transport. Knowing the second half of our trip will be in Spain, we’ll be jetting off immediately to St. Jean-de-Luz on the French side where we will be based. 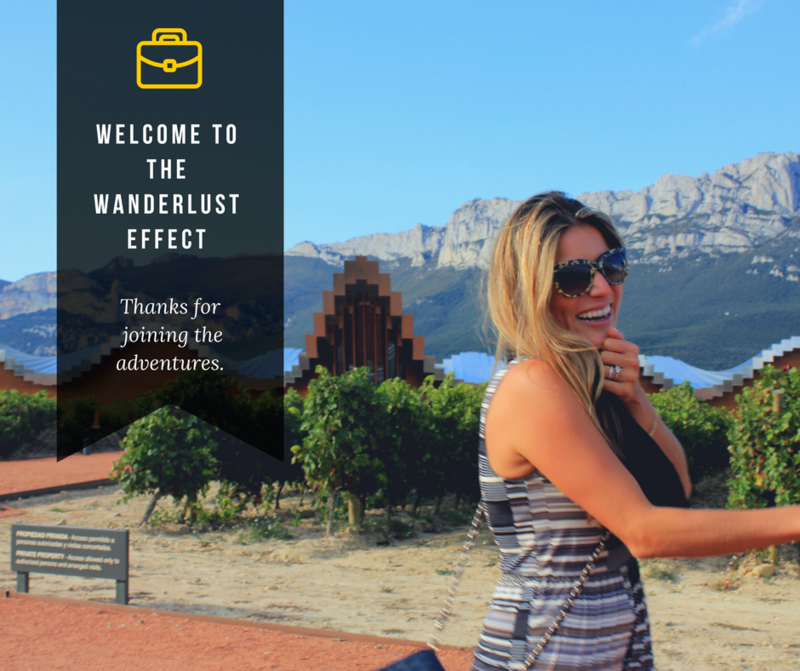 We’ll be giving ourselves time to explore St. Jean-de-Luz itself which seems to be a gorgeous coastal city with a moderate dose of glitz and a decent selection of restaurants and bars to keep us fueled in the evenings. In total, we’ll spend three nights on the French side, which will give us about 2 1/2 days to explore. On our short list are the cities of Biarritz and Bayonne, which we may be able to capture jointly in a day as they’re so close to one another. As we’re not as focused on beaching it, we’ll be walking the towns, taking in the views, and enjoying local cuisine as our focus. Also on our list is the charming town of Espelette, a town famous for its peppers, which is a bit more inland. From France, we’ll head down to La Rioja, where we’ll base ourselves in the town of Laguardia for a night, possibly two. Here, we’re going to enjoy some wine tasting in Spanish wine country. Lagroño, the capital of La Rioja, is located nearby and intrigued us from the start. As many who are familiar with this region will know, food and drink are a big draw for travelers, and Calle Laurel in Lagroño seems like a mecca (next to San Sebastian) for wining and dining. The street is home to a slew of bars, each offering their own specialty on the pintxos front. We’ll be working with a tour guide in the region to help us navigate La Rioja, deciding which bodegas to visit to maximize our experience. Worth noting: everything we’ve read thus far on La Rioja notes that booking tastings in advance is a must. This is different from what we’re used to with wine tasting in Napa and Sonoma where you can hop easily from one winery to the next without much forethought. Here, a guide will be an integral piece of the puzzle in allowing us to see the best the region has to offer in the limited time we have. From La Rioja, we’ll make our way up to lovely San Sebastian where we’ll spend two to three nights. San Sebastian (locally referred to as Donostia) was the reason that this trip was born in the first place. I’ve heard so many wonderful things about this gorgeous seaside town that I couldn’t help but be captivated. We’ll end our trip in the city, exploring and simply enjoying a couple of leisurely days of taking it all in. I’ve prepared myself; I’m definitely going to need my stretchy pants for this trip! For those of you that have been to Basque Country, I’d love any of your thoughts and input on best cities you visited, favorite spots in the region, favorite wineries, etc. I can’t even tell you how excited I am to delve into this region for a week. Definitely a dream come true! Cover photo courtesy of Bernard Blanc via Creative Commons.